Three physicists at the Université de Sherbrooke led an international team to first direct measurement of the critical magnetic field in cuprates, the most promising materials for superconductivity. This breakthrough resolves an enigma that has baffled researchers for 20 years and clears the way for major advances. The study is published in the prestigious journal Nature Communications. 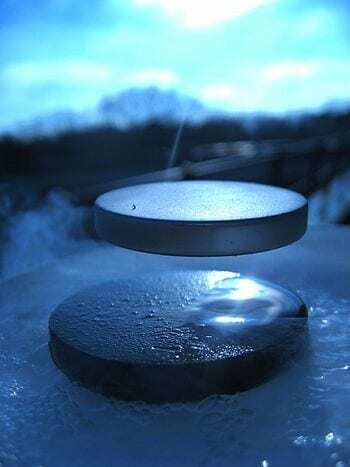 When some materials are cooled to very low temperature, barely above absolute zero (-273 °C), they become superconductors, and their electrical and magnetic properties change radically. They acquire a nearly magical property: they carry electricity perfectly, without any energy loss. The most promising superconducting materials are copper oxides, also called cuprates. They are, at present, the materials that become superconductors at the highest temperature, specifically -150 °C, which is halfway between absolute zero and ambient temperature. The team has just identified one of the main mechanisms limiting the critical temperature of cuprates, which opens a new direction in determining how to increase it. In addition to their critical temperature, another fundamental property of superconductors is their critical magnetic field. What is its value in cuprates? In order to measure the critical field of cuprates, the team investigated their capacity to conduct heat. A material’s heat conductivity turns out to be very sensitive to the onset of superconductivity. The very first direct measurement of this critical field in cuprates was made possible as the result of a novel approach developed by the group of researchers working on the physics of quantum materials at the Université de Sherbrooke. “The key to our discovery,” says Nicolas Doiron-Leyraud, “was developing equipment at Sherbrooke that can make such measurements under very strong magnetic fields.” The team then traveled to specialized laboratories in Tallahassee, Florida, and Grenoble, France, where magnetic fields up to 1 million times the earth’s field are produced.